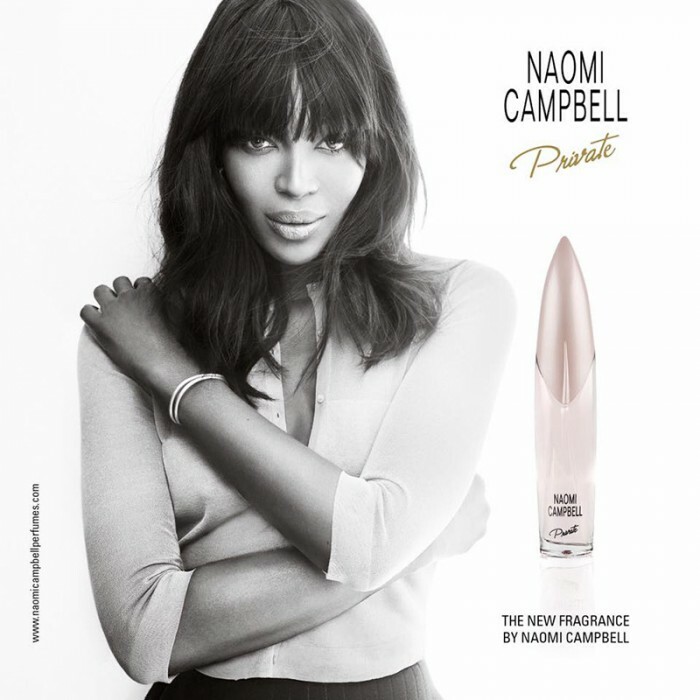 Supermodel Naomi Campbell has added another fragrance to her perfume line with ‘Naomi Campbell Private’. Of course the British beauty had to pose in the new campaign herself. Photographed in black and white, Naomi delivers a sensual pout while gazing into the camera. The new scent is described as a unique blend of roses and orange blossoms with a floral and peppery scent.